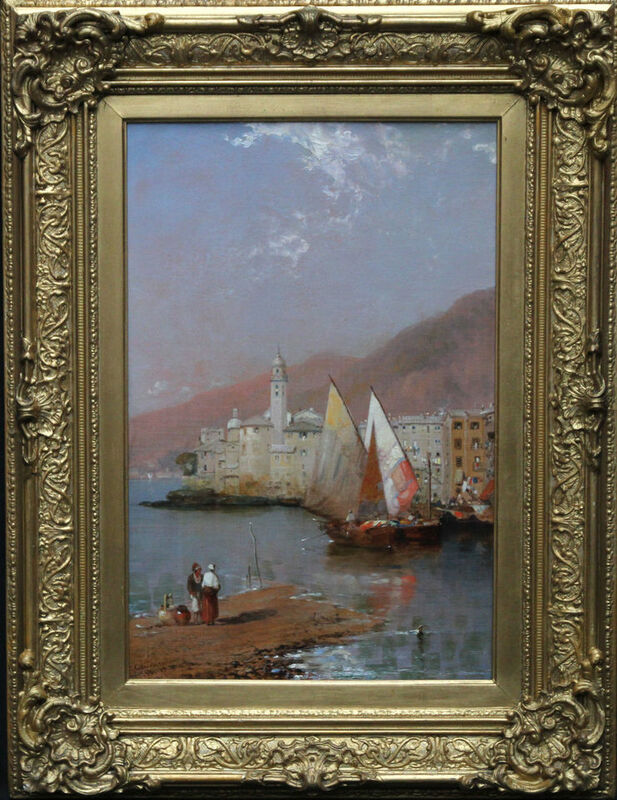 This superb original marine seascape oil painting is of Camogli on the Italian Riviera and was painting in 1901. 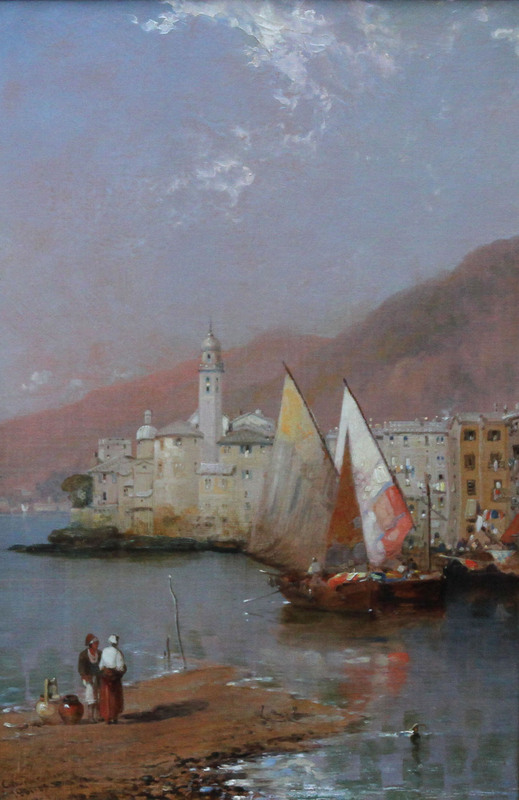 The painting is by well exhibited British marine and landscape artist Arthur Joseph Meadows. The oil painting depicts a sunny hot marine view with boats on a tranquil water and the city in the background. The light on the water and in the sky are very much in keeping with this beautiful part of italy. In very good condition, this is a fantastic example of one of the best marine artists of the day. Signed lower left and dated 1901. Camogli is a fishing village and tourist resort located on the west side of the peninsula of Portofino, on the Golfo Paradiso in the Riviera di Levante, in the Metropolitan City of Genoa, Liguria, northern Italy. Housed in a Victorian gilt 24 inches by 20 inches.